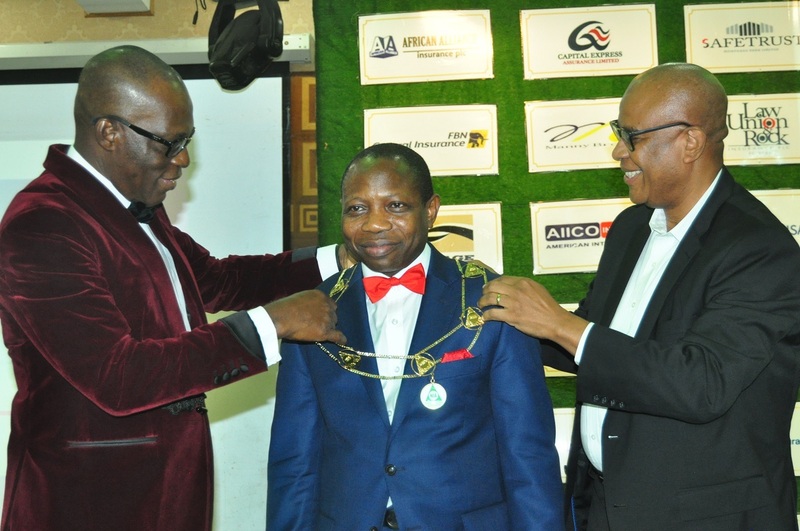 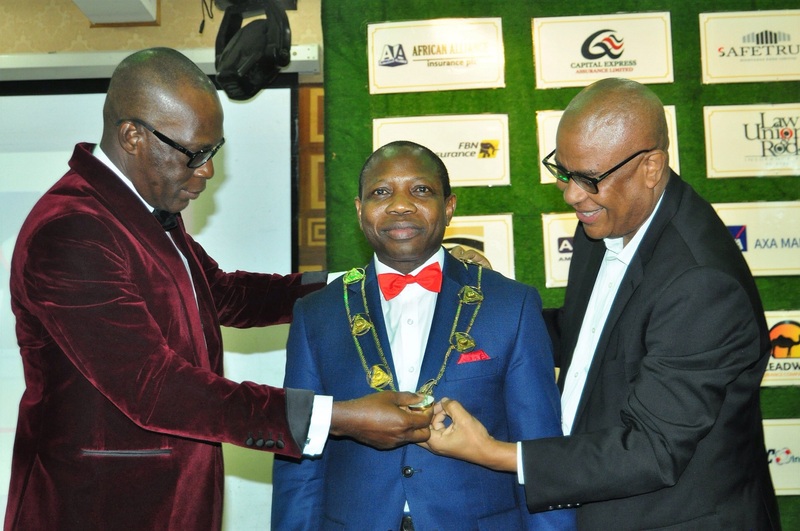 From left: Immediate Past Chairman, Nigerian Insurers Association (NIA), Eddie Efekoha; Chairman, NIA, Tope Smart, and past Chairman, NIA, Godwin Wiggle, during the investiture of Tope Smart as the Chairman, NIA in Lagos on Wednesday. 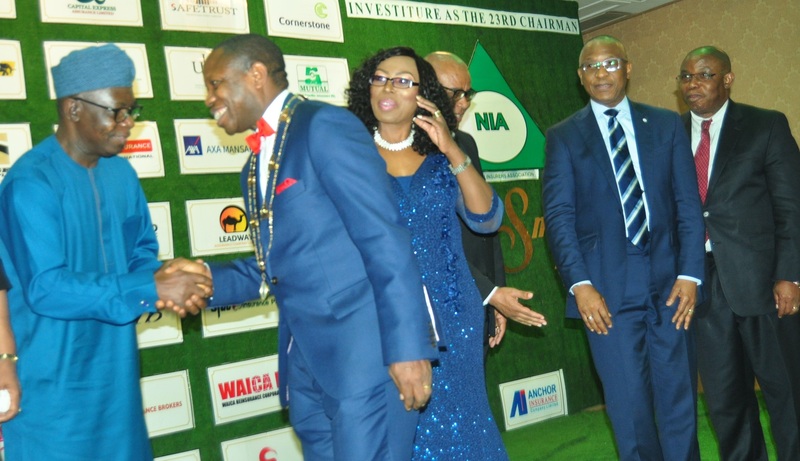 From left: Deputy Governor, Ondo Stae, Agboola Ajayi; Chairman, NIA, Tope Smart, and his wife, Tonia; past Chairman, NIA, Mr Godwin Wiggle; Director General, Bureau of Public Enterprises, Alex Okoh; Deputy commissioner for Insurance, (Finance & Admin) NAICOM, George Onekhena, during the investiture of Mr. Tope Smart as the Chairman, NIA in Lagos on Wednesday. 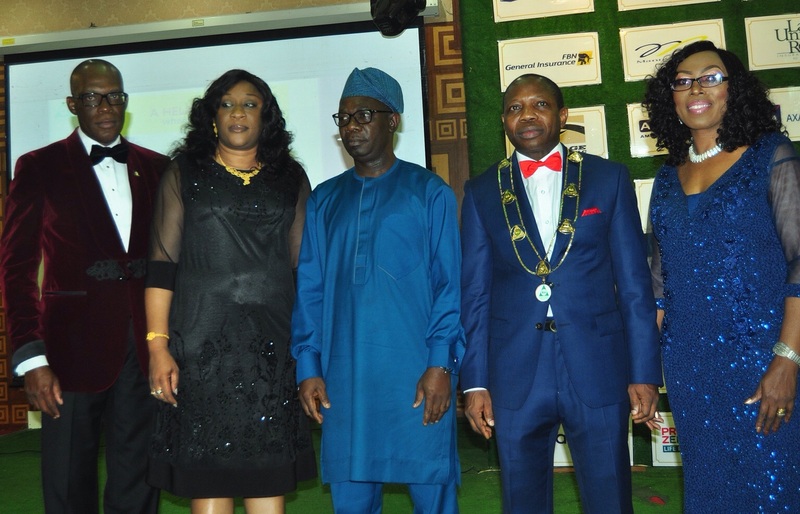 From left: Immediate Past Chairman, Nigerian Insurers Association (NIA), Eddie Efekoha; Special Adviser to Governor, Ondo State on Public & Intergovernmental Relations, Mrs Olubunmi Ademosu; Deputy Governor, Ondo Stae, Agboola Ajayi; Chairman, NIA, Tope Smart, and his wife, Tonia, during the investiture of Tope Smart as the Chairman, NIA in Lagos on Wednesday.